Fabulous waterfront property on the bay! This lot is zoned Mixed Use-One so you lots of options. 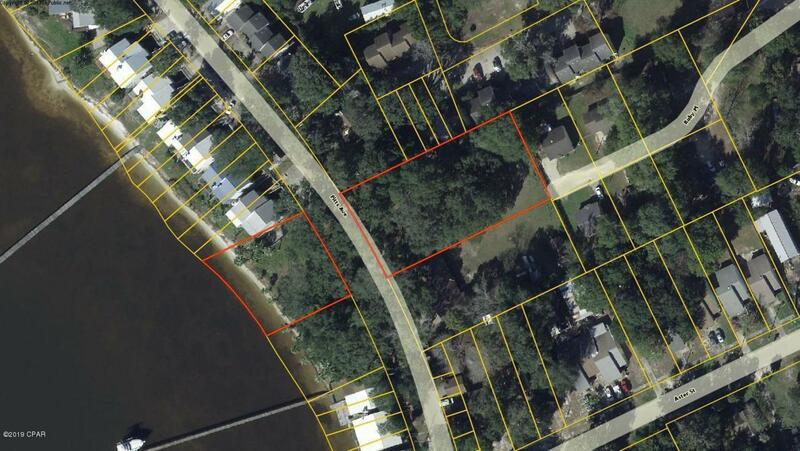 Big lot with plenty of shade and you can build your dream home overlooking the water. Additional options include duplex or triplex, apartments, or condos (medium density). If you have a boat, you can add a dock on this deep water bay and you have gulf and intracoastal waterway access. The location is excellent as you are literally less than 5 minutes from Tyndall Air Force Base, schools and shopping centers. This is a rare opportunity to own such a beautiful piece of waterfront real estate. All info is approx and must be verified by Buyers if important.